A vibrant pop of color on the sleeves of this women's t-shirt matches the intensity of your high-energy workout. 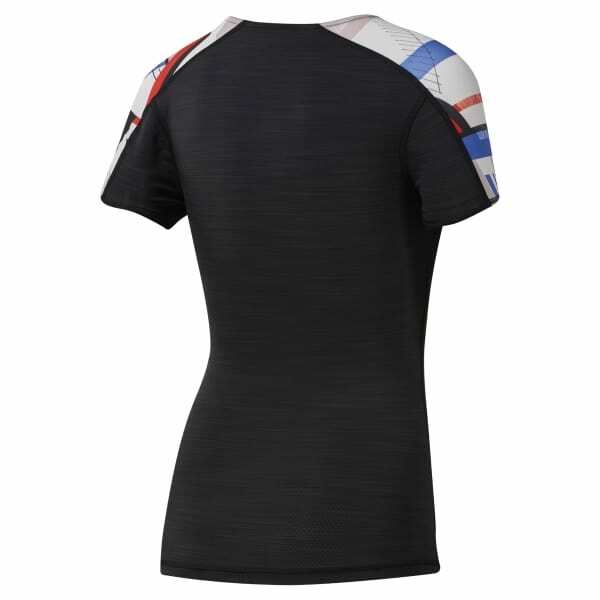 Made with innovative technology to help circulate airflow, the training top has a supportive compression fit. The extra stretch encourages full mobility.